The hair you leave on a brush is a magnet for lint that lingers around the house, on bed sheets and clothing and in the air. 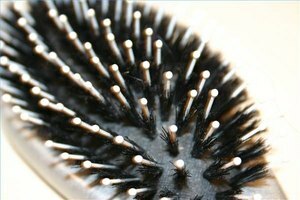 When hair is concentrated in one spot, such as collected on your brush, the lint clings. You brush, and create static, which invites more lint in. While the lint won't hurt you, regular cleaning can help your brush stay pristine and last longer. 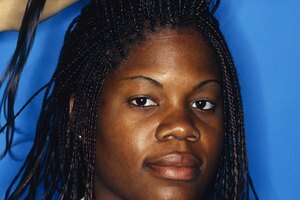 Use a comb to clean excess hair and the clinging lint from the bristles of the brush. Use the teeth to catch the hair and pull it out. This should remove the bulk of the lint too. Run the brush under running warm water, or swish it around in a shallow bowl filled with warm water. Place a few drops of baby shampoo on your fingers or a clean toothbrush and scrub between the bristles. If were unable to comb out all the extra hair and lint, it will soften as it gets wet. Use your fingers to remove it now. Rinse the brush under fresh running water. Don't soak a wood brush in water, or you risk compromising the brushes, the padding and the handle or core. 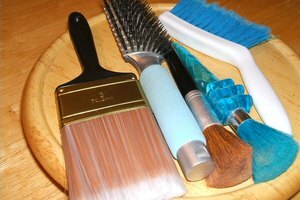 An all-plastic brush without a fabric cushion may be soaked for five to 10 minutes. Lay the brush, bristles down, on a towel to dry. This will take several hours or overnight. Drape the brush so the bristles hang over the edge of a sink to discourage water from pooling in the handle or base. A hairdryer can also speed up the drying process. You can clean the brush as often as you like, but once or twice a month should be sufficient. If you tend to lose a lot of hair, use a lot of styling products or just accumulate a lot of lint, wash your brush more frequently. 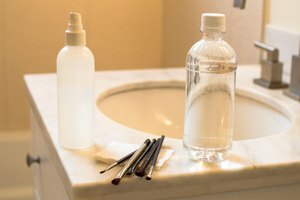 Plain white vinegar is an alternative to baby shampoo for cleaning the brush; rinse well or you risk your hair smelling like a salad. Proper care of the brush can keep it working well for as long as three years. 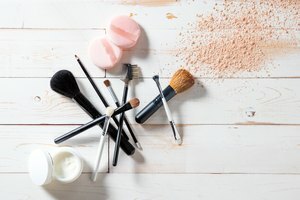 If you've purchased a quality brush, you want it to last.